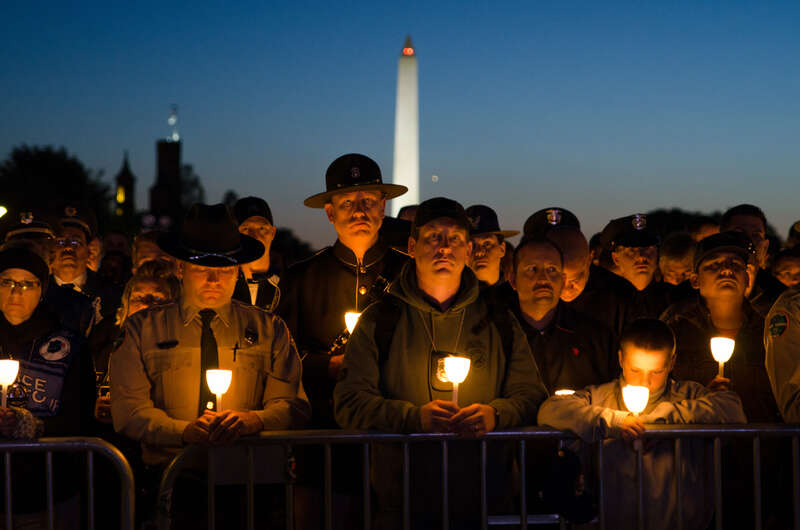 This year, from May 13th to May 19th, thousands of police officers, law enforcement professionals, friends, family, and survivors, gather in Washington D.C for National Police Week. In 2017 alone, 129 officers were killed in the line of duty. Since 1791, a total of 21,541 officers have lost their lives in the line of duty. One of the most moving ceremonies is the Annual Candlelight Vigil, where the names of fallen officers will be forever etched into the Memorial Wall. Unlike many memorials in Washington D.C, the National Law Enforcement Officers Memorial is ever-changing as new names are added each year. A wreath will be laid for each fallen hero and their names will be read aloud to the thousands of people and loved ones. For most, these touching events are a way of honoring the fallen, saying goodbye to their loved ones, or paying tribute to the brothers and sisters in blue who made the ultimate sacrifice. During Police Week, let us all take a moment to remember and recognize the heroes who laid down their own lives for the safety of ours. “The wicked flee when no man pursues but the righteous are bold as a lion”. To learn more about Police Week, click here.